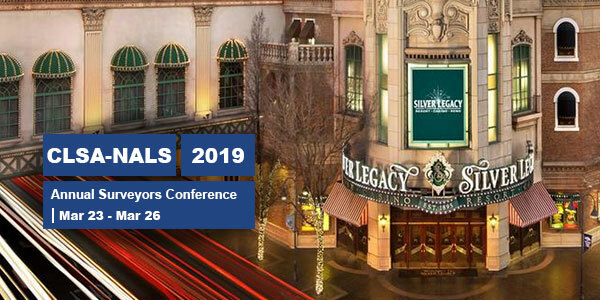 Join MicroSurvey at the 2019 CLSA-NALS conference in Reno Nevada! In attendance for this years CLSA-NALS Conference will be our MicroSurvey Technical Support Representative Christopher Clemente and our Support / Training Manager James Johnston. Stop by booth #38 to see the exciting new innovations we have planned for 2019! !